Stars Week 2016 — Left, freshmen line up to touch the OCU Star and seal their pledge after the Matriculation service on Aug. 17. Upper right, underclassmen move into the residence halls during the week prior to the start of classes this fall. Below, new students are welcomed to campus by the First Year Experience Staff. 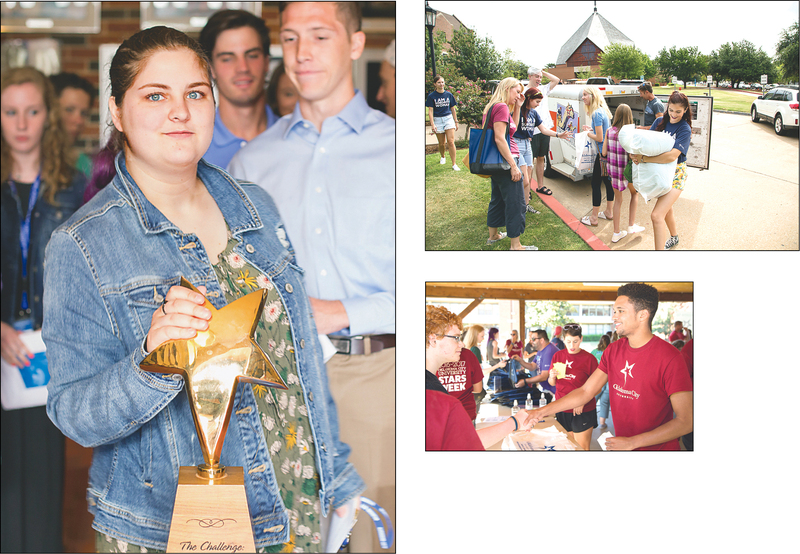 This fall Oklahoma City University welcomed 314 freshmen, 209 transfer students, and 33 new international students into the university’s seven schools, an increase over the previous year. Additionally, 157 new students began their legal studies at OCU Law, and 36 students joined the inaugural class of the Physician Assistant (PA) Program. Increased recruitment efforts and new academic programs are credited with the positive growth.